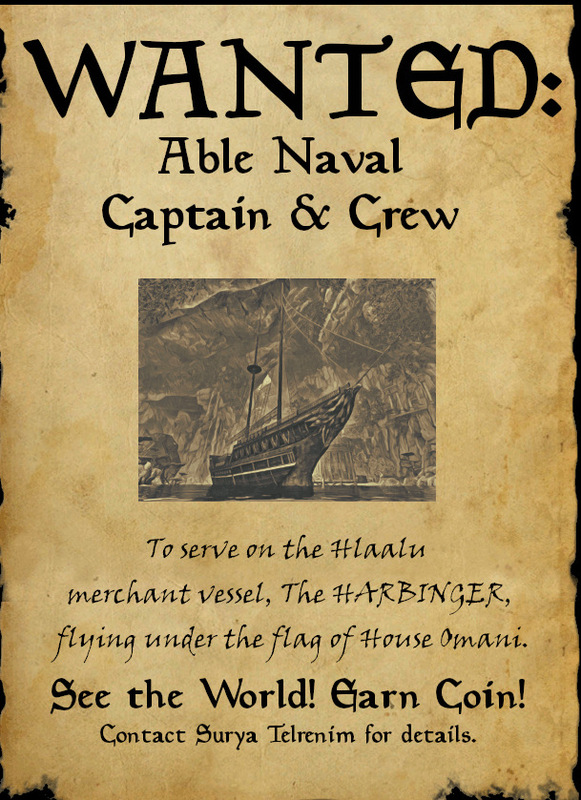 If you've experience navigating at the helm of a ship, House Omani (under the Hlaalu banner) would compensate you generously to pilot the Harbinger, a trade vessel. Finding a competent captain is quite imperative to us. Likewise, If you feel at your best when on your sea legs, many other lucrative opportunities await for those who can hoist a sail or thrust a cutlass. Please issue any application or inquiry to Surya Telrenim. Stand your ground, this is what we are fighting for, for our spirit and laws and ways. 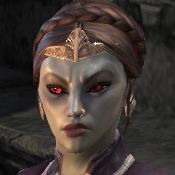 Cry havoc, let slip the dogs of war; for heaven or hell we shall not wait.